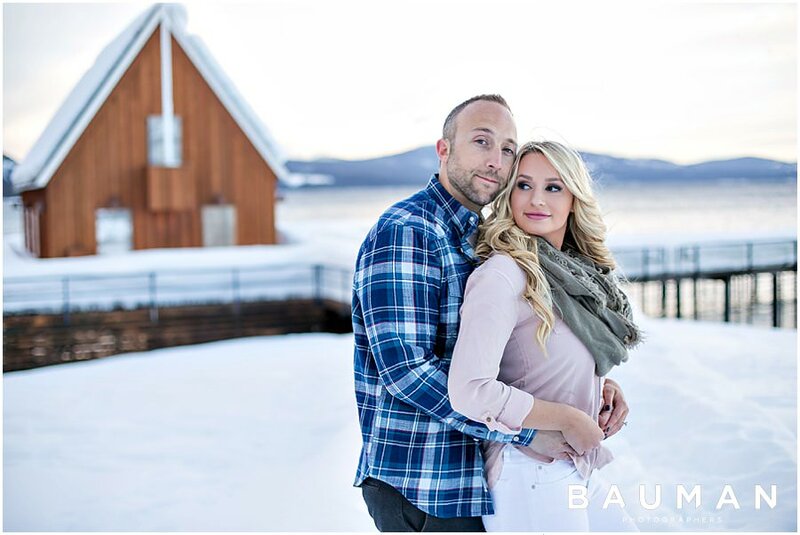 When you have friends who are really, really ridiculously good looking… a plain-jane engagement session is simply NOT an option. 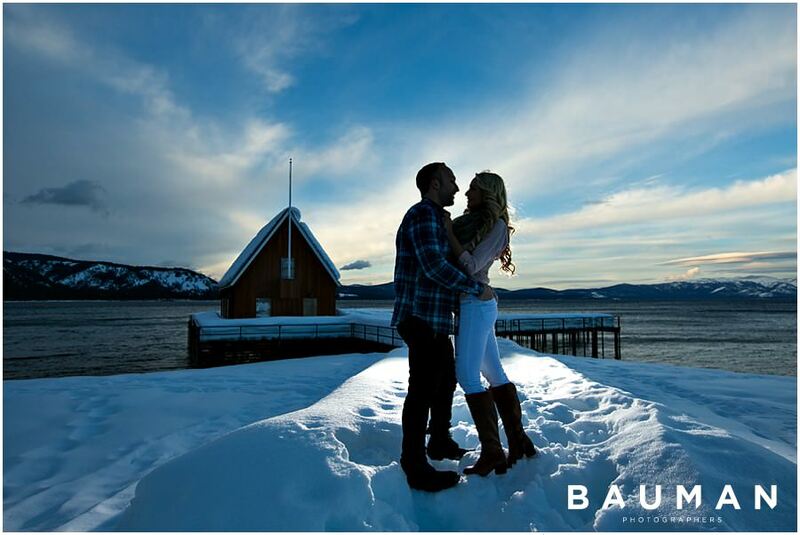 Nope, it requires gorgeous outfits, an EPIC location, and maybe a smoke bomb in there, too… for good measure. 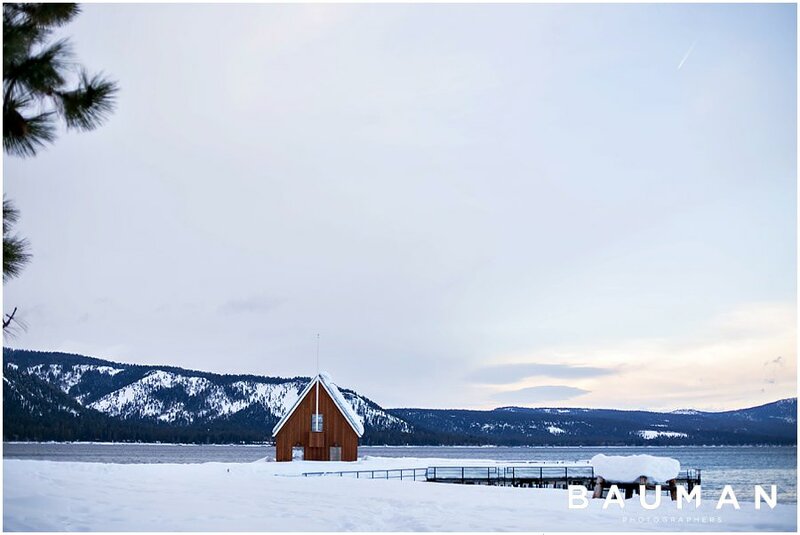 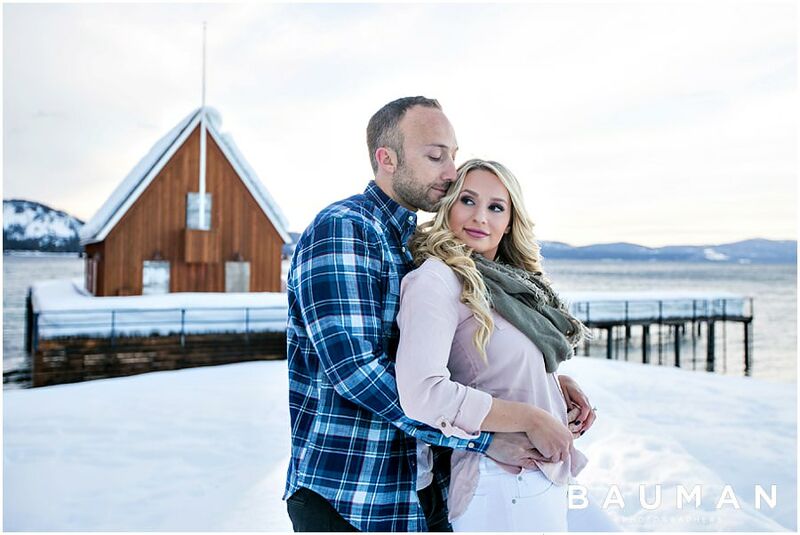 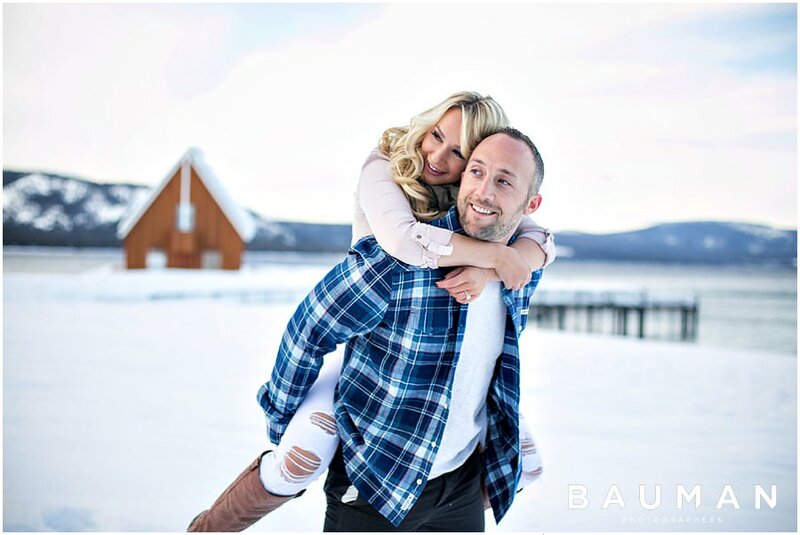 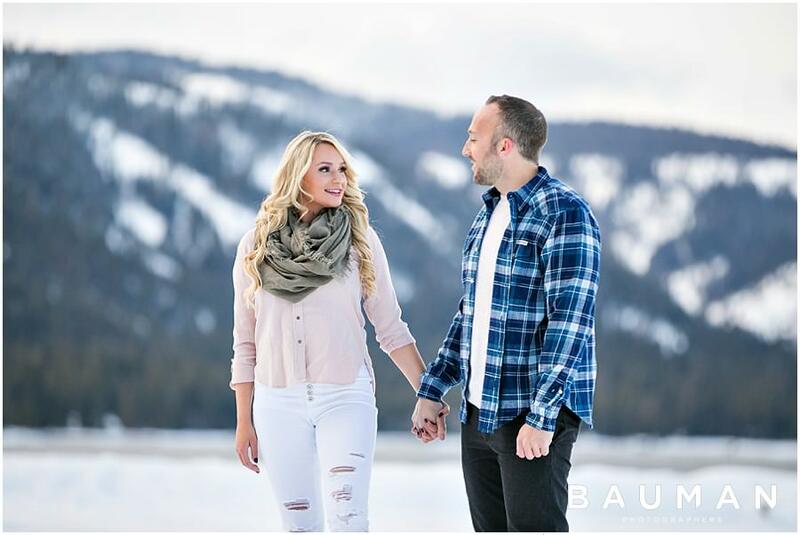 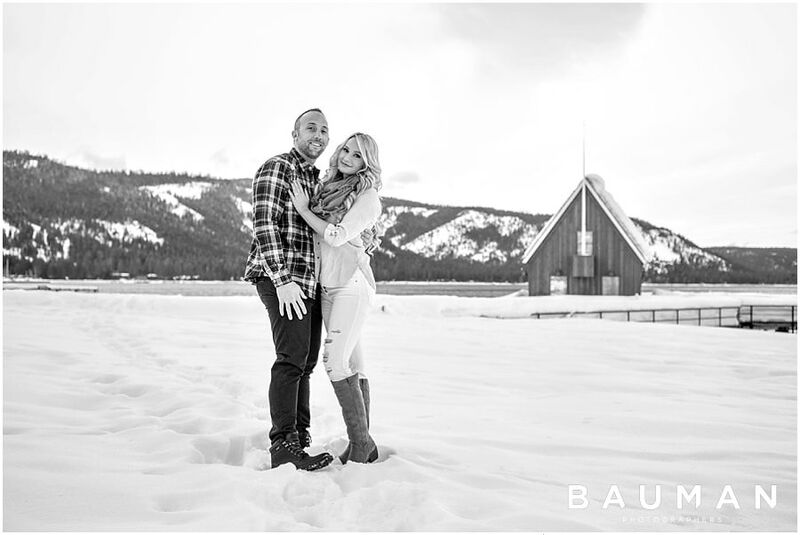 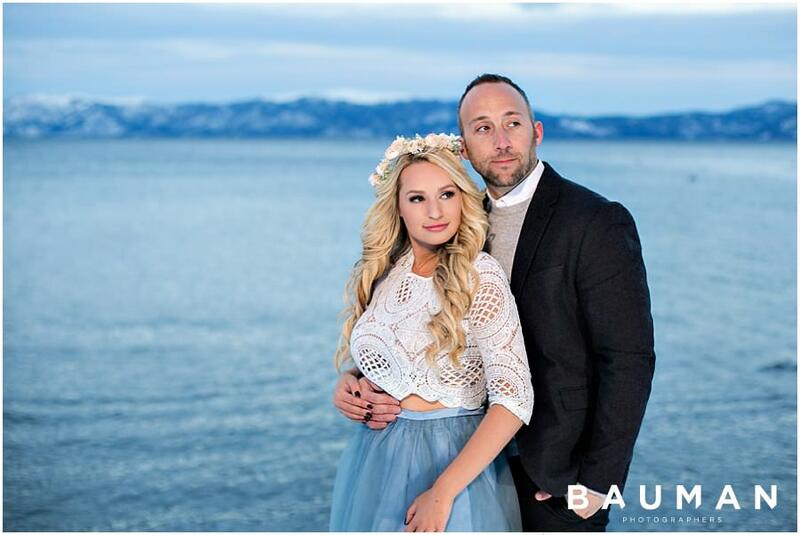 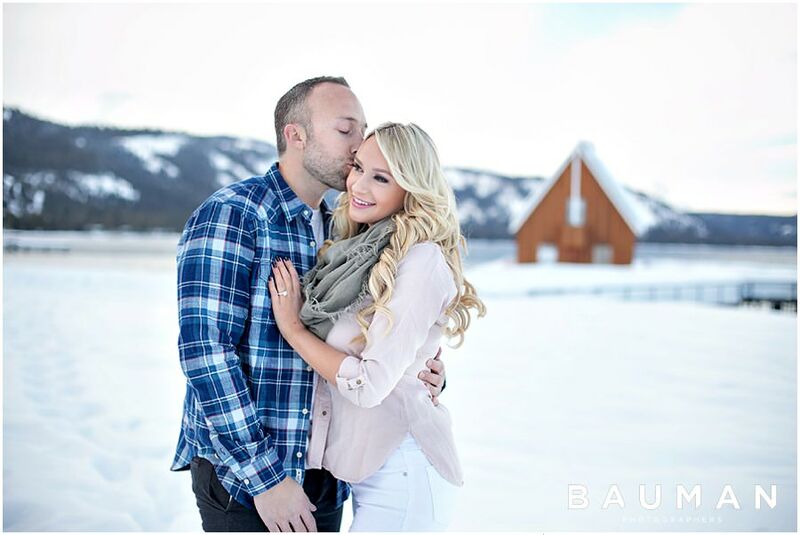 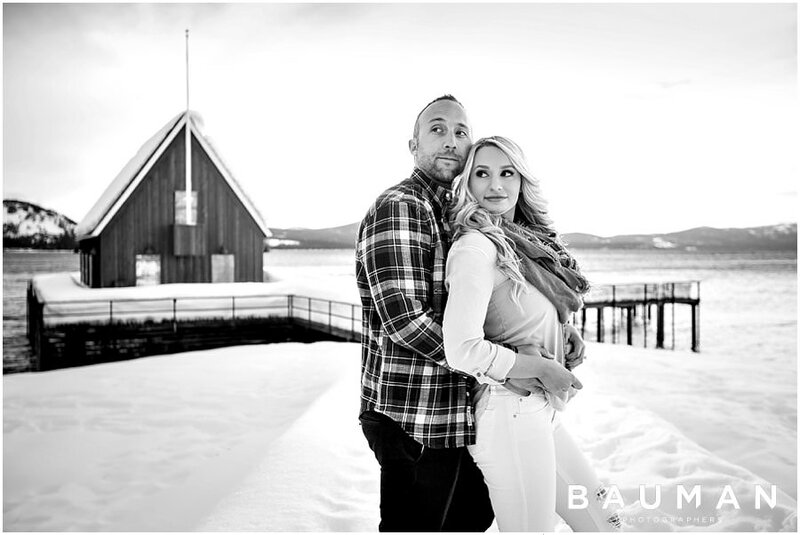 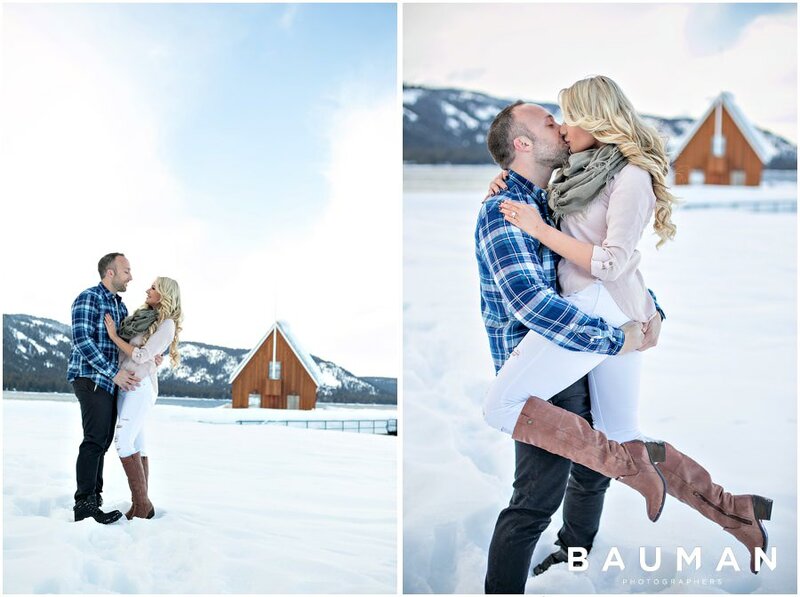 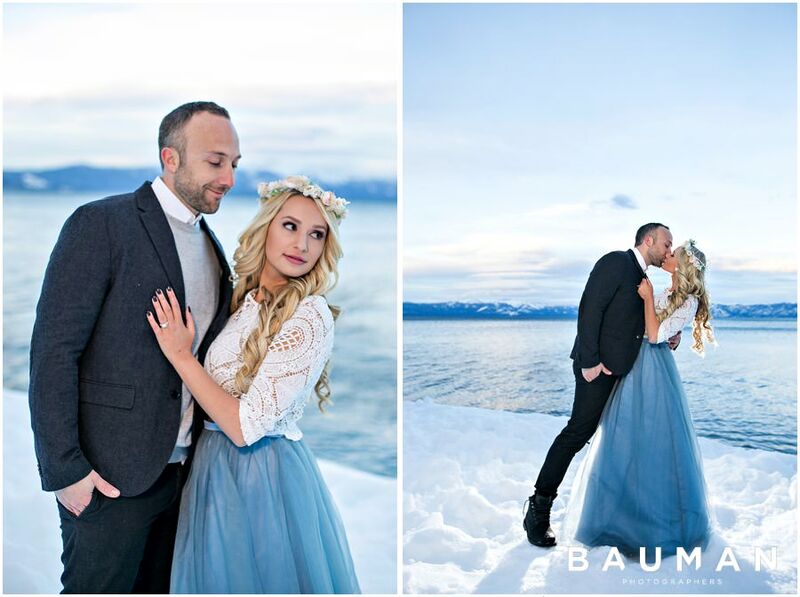 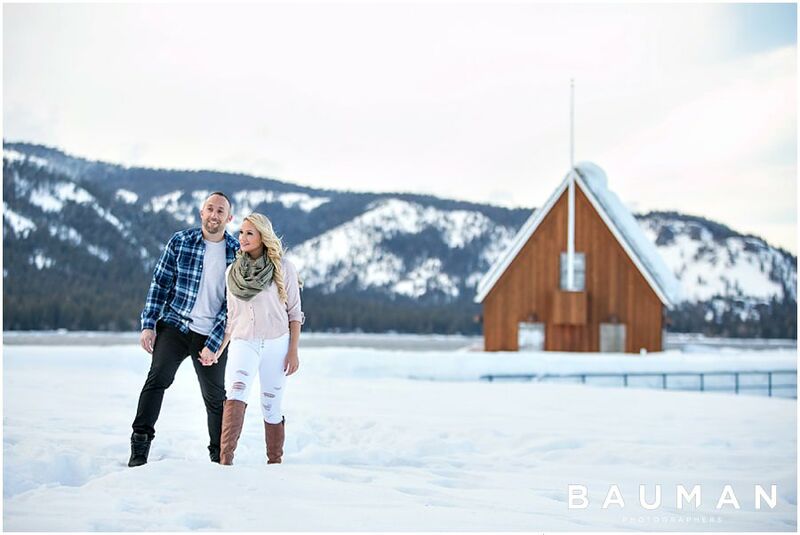 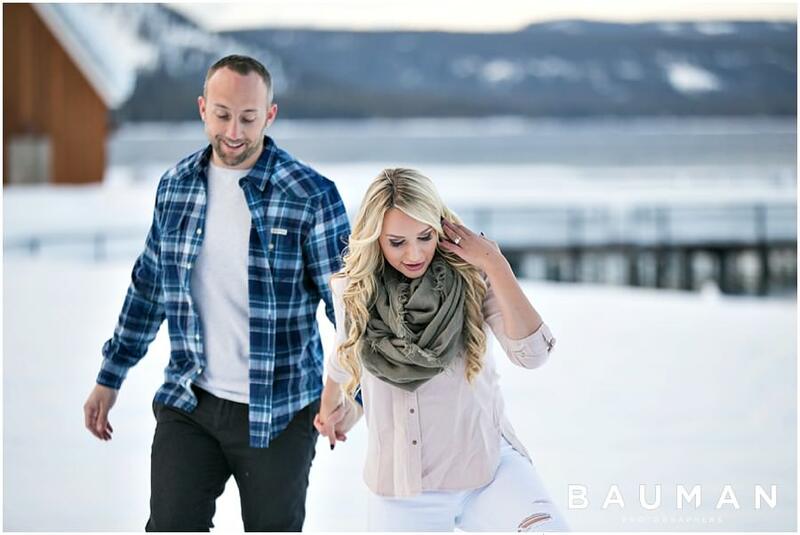 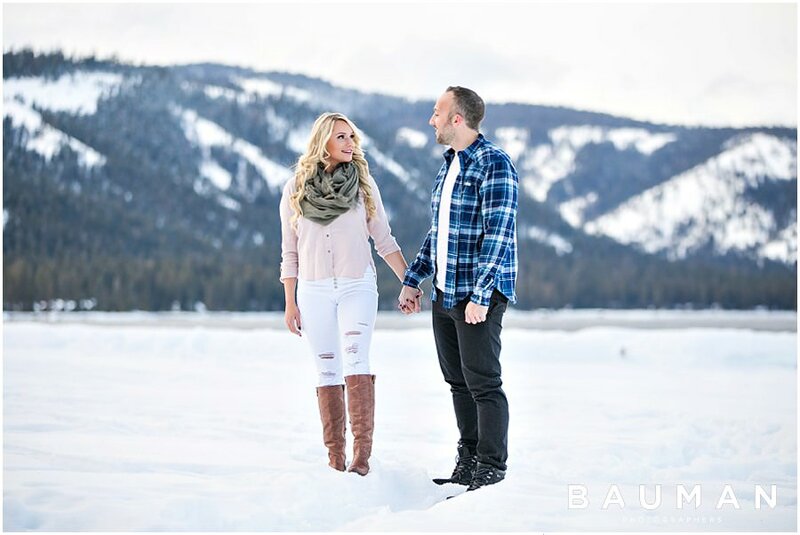 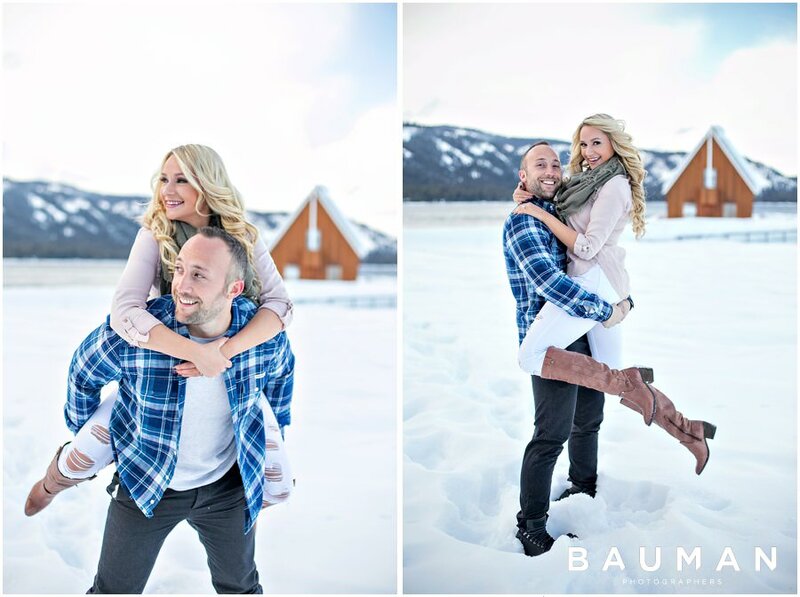 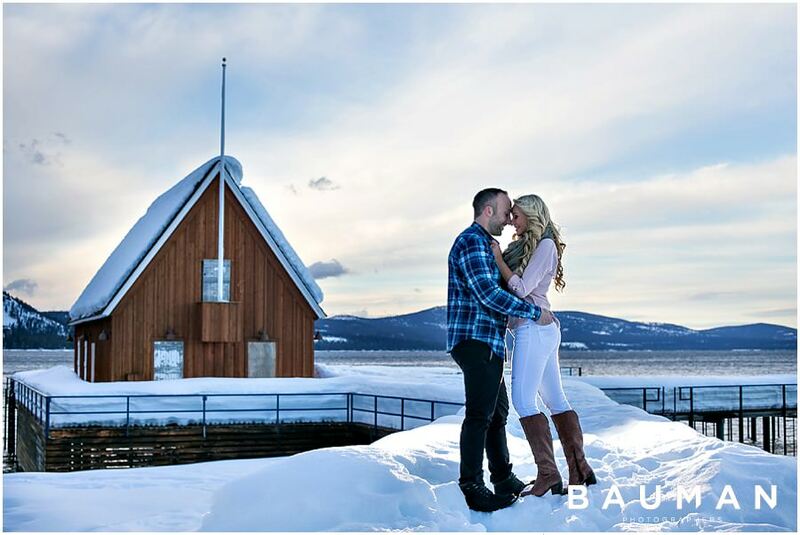 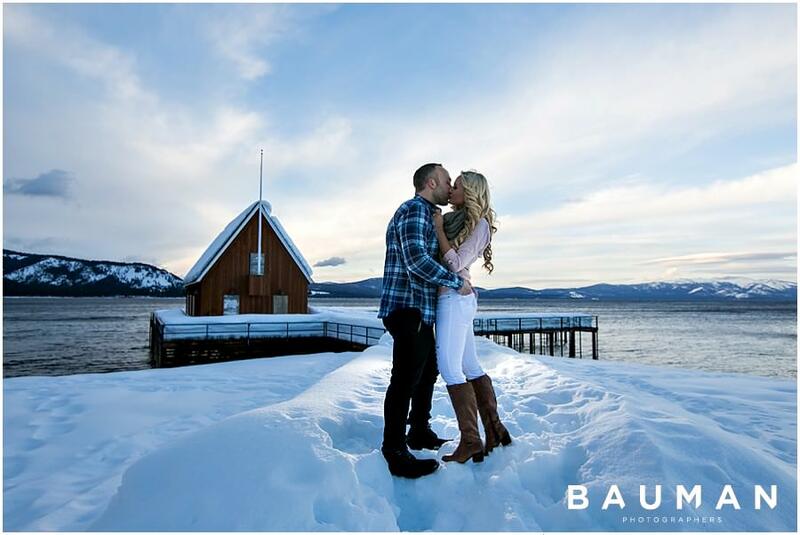 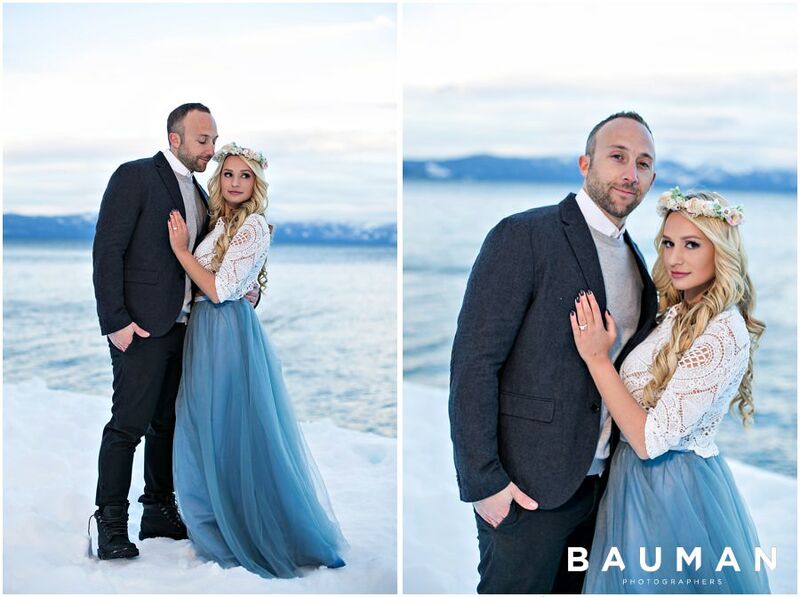 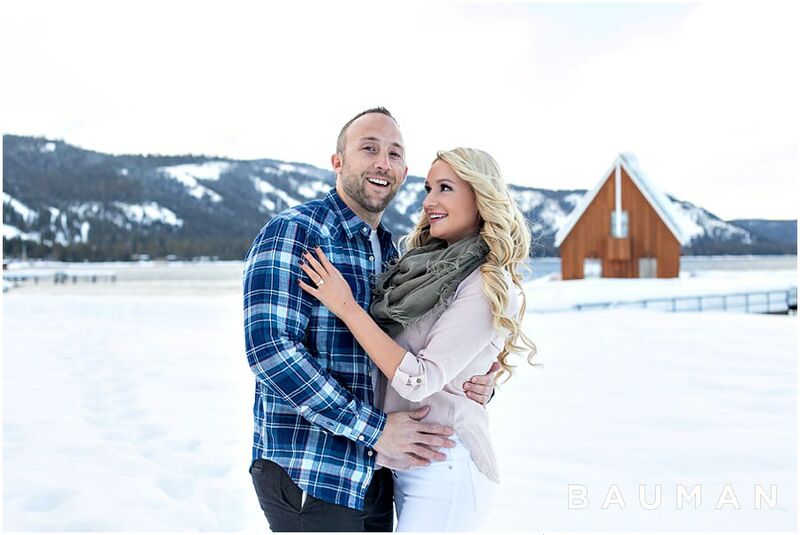 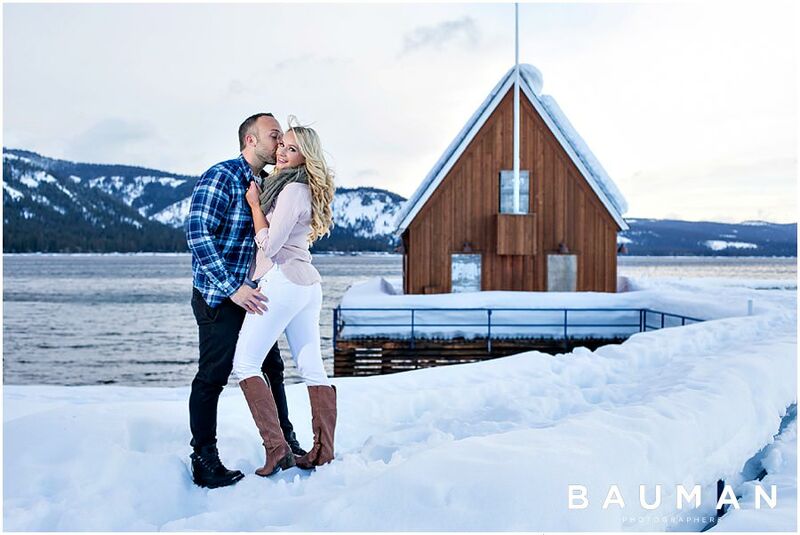 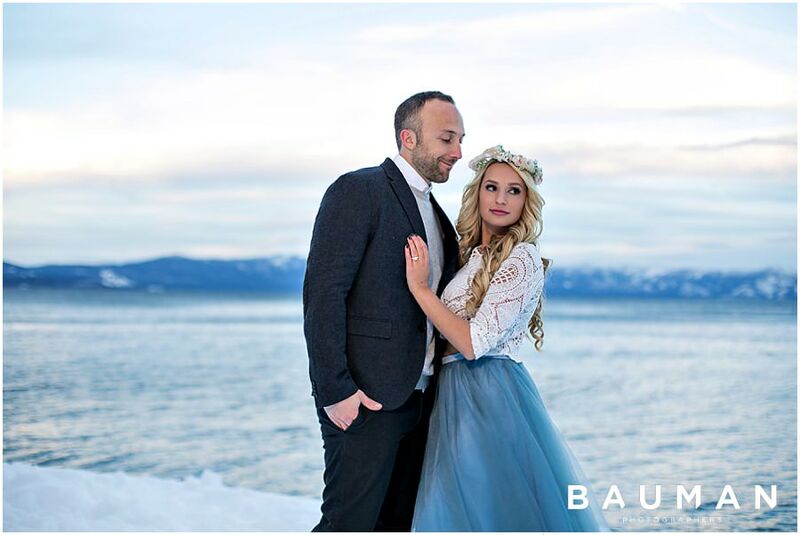 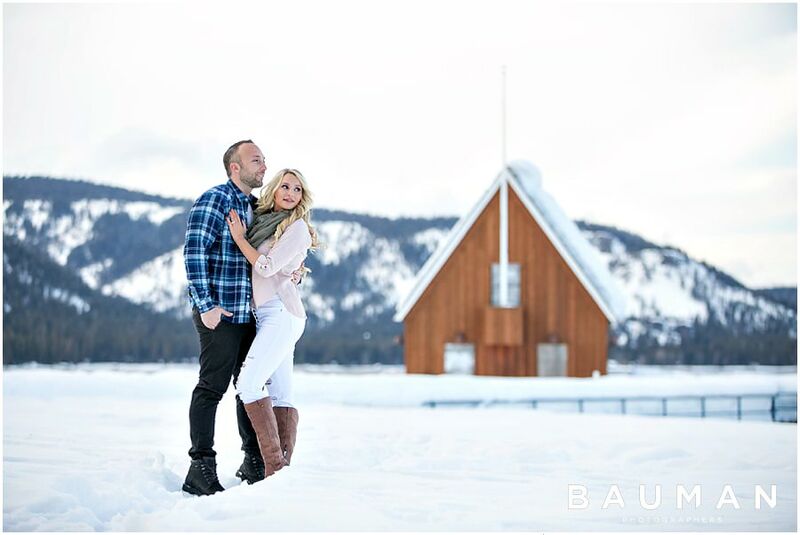 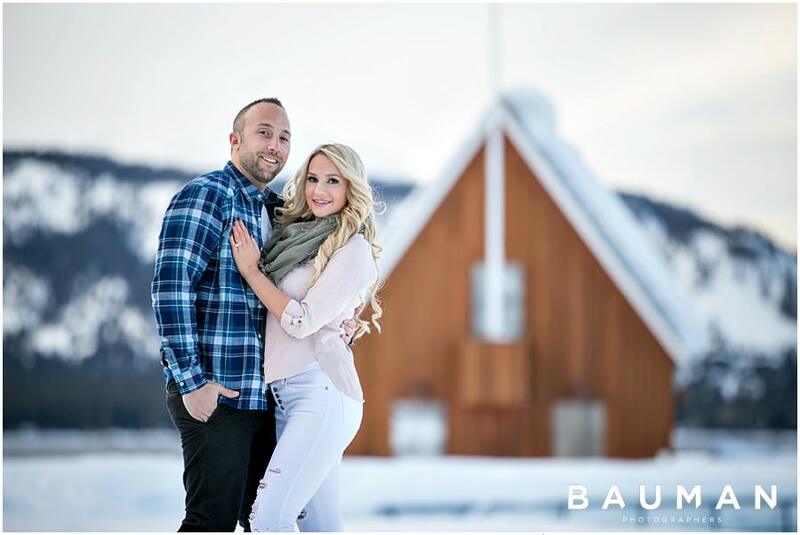 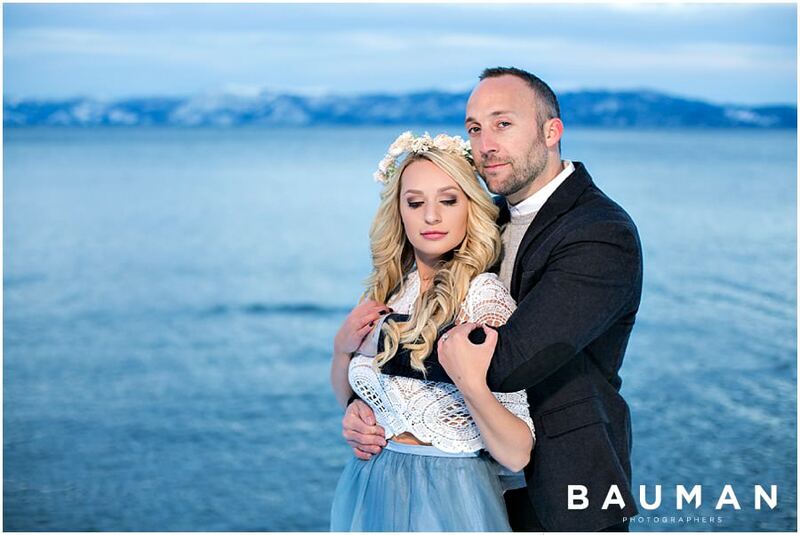 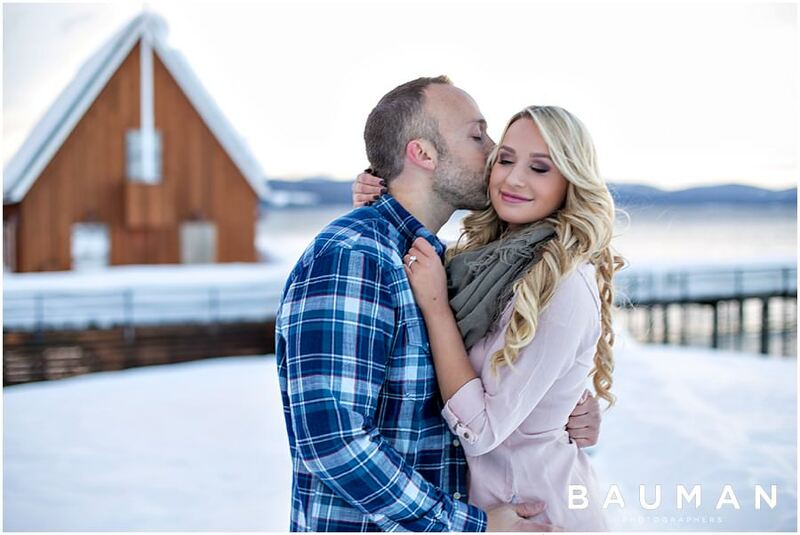 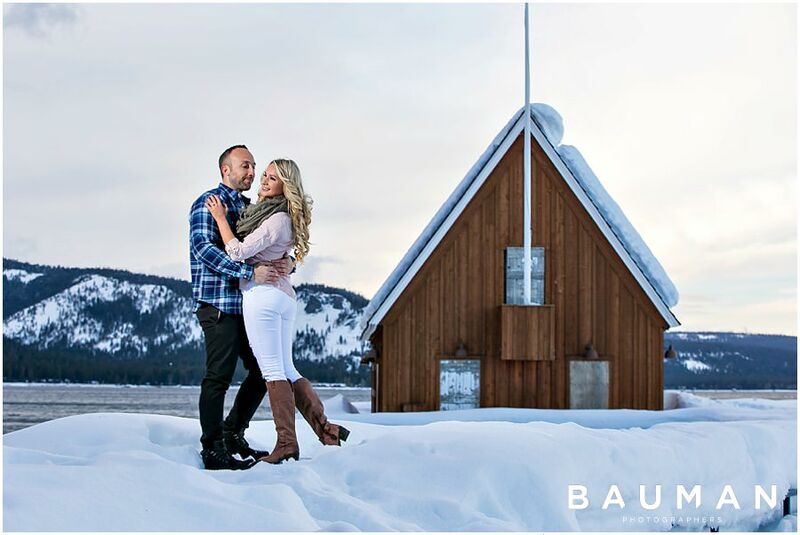 So for Dave and Josie, we planned a trip to Lake Tahoe (in the peak of the #snowpocalypse) for an engagement session that would prove to be unforgettable! 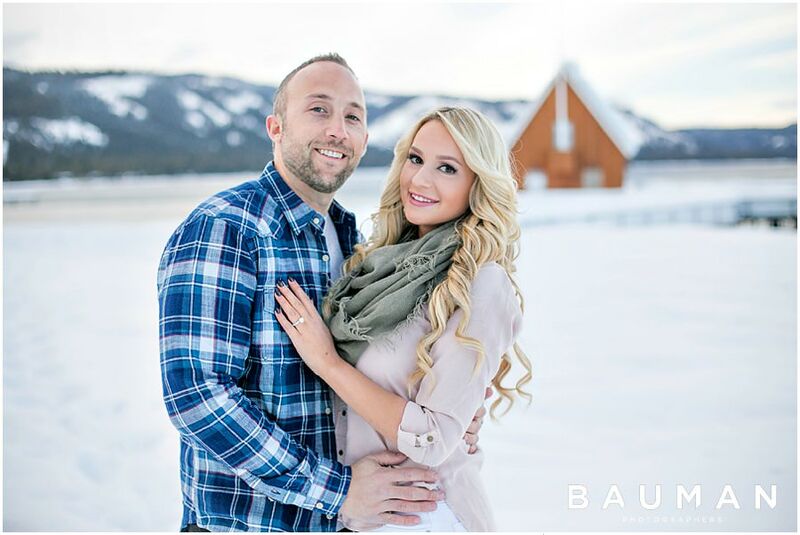 Dave and Josie’s story is a modern romance: they met online, traveled the world together, got engaged next to a unicorn… *record scratch* Yup, that’s right — a unicorn! 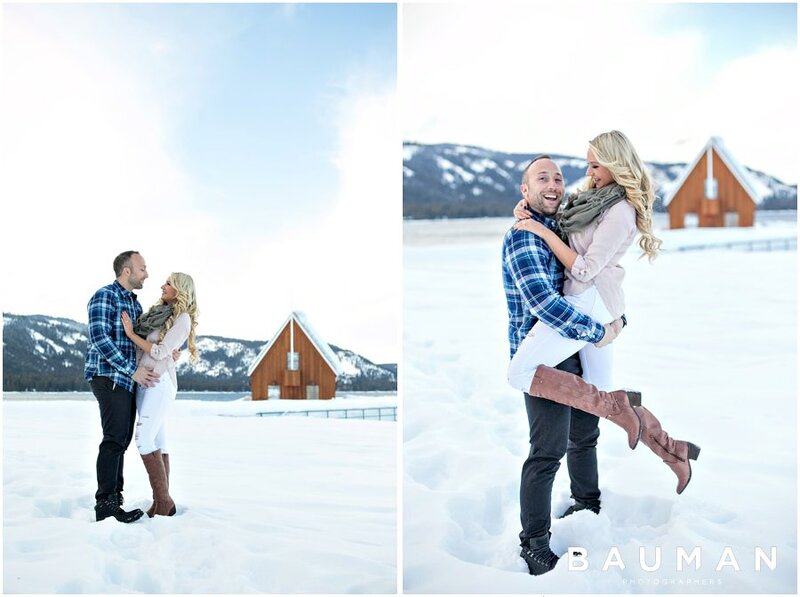 These two are a ‘work hard, play hard’ type, and their kind of love is adventurous and larger than life. 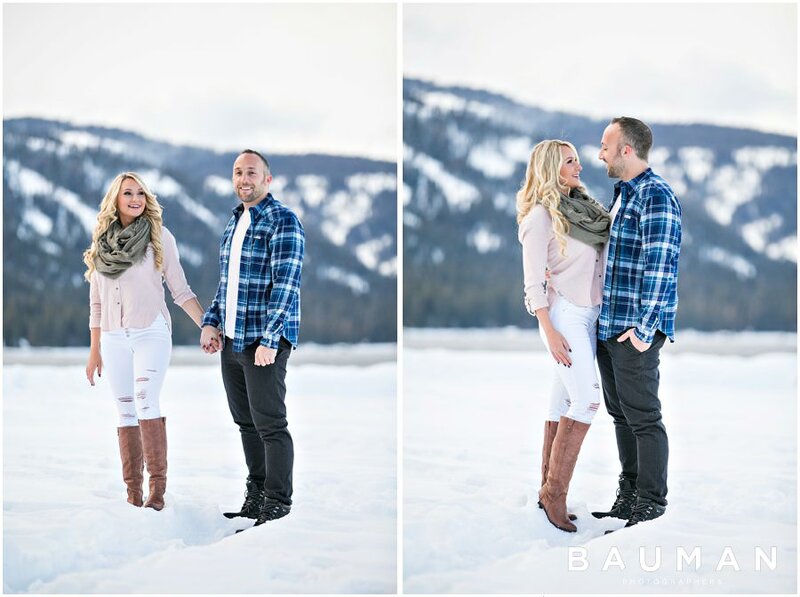 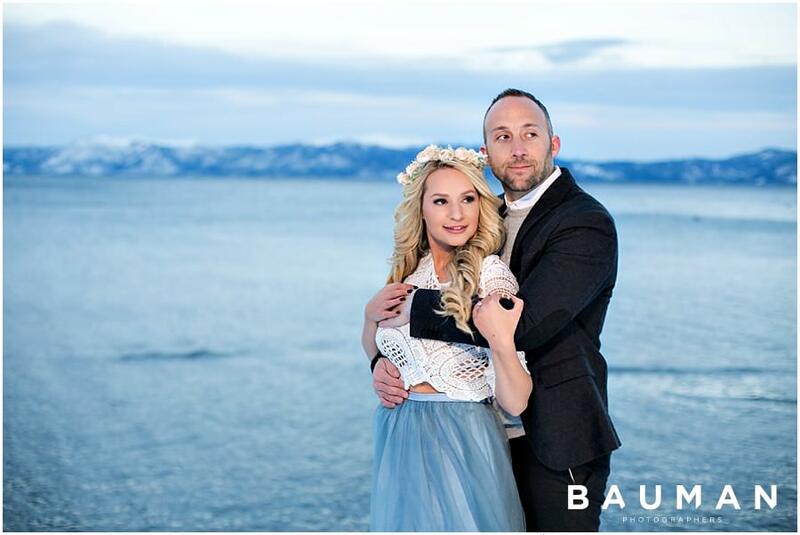 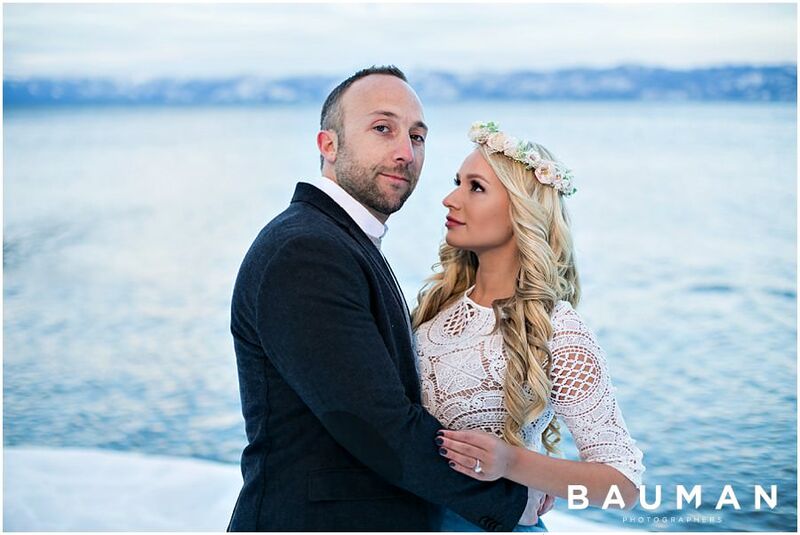 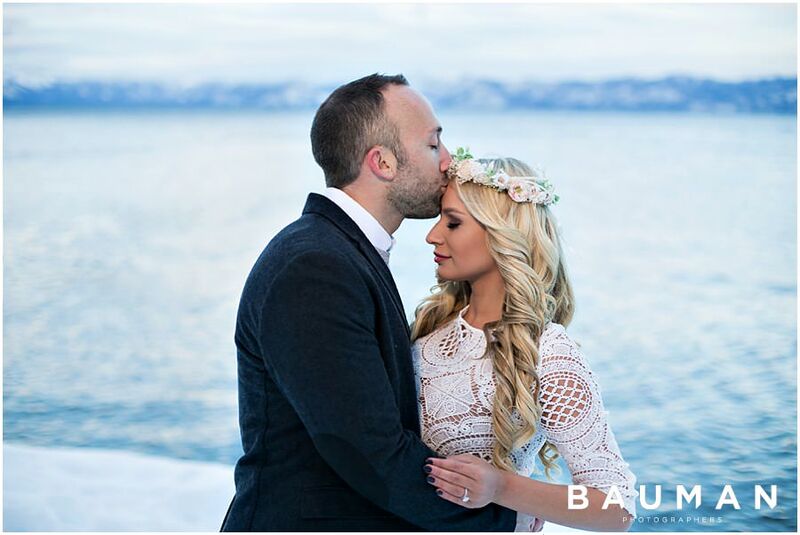 Their engagement session at Chambers Landing in West Lake Tahoe was on FIRE! 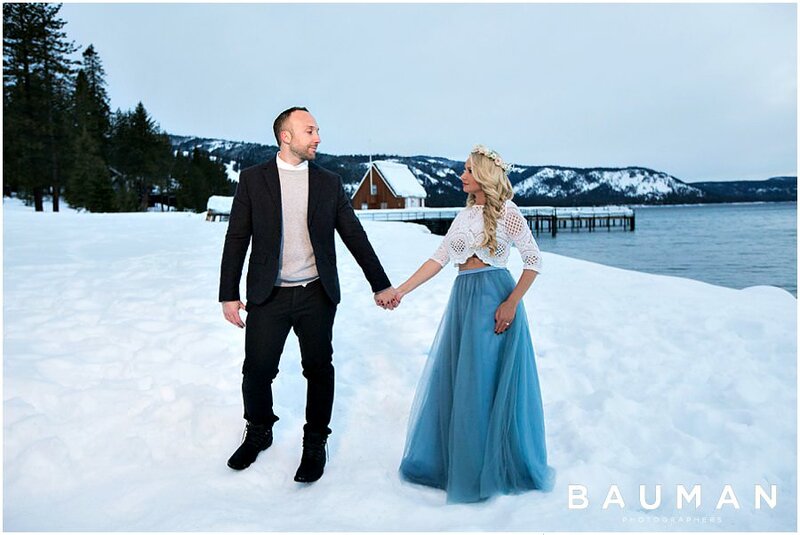 (Well actually, it was really really icy…). 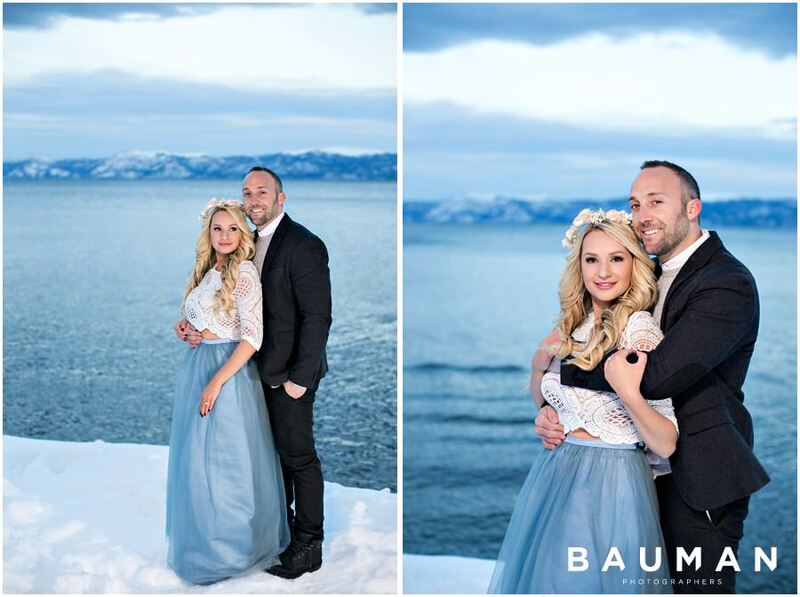 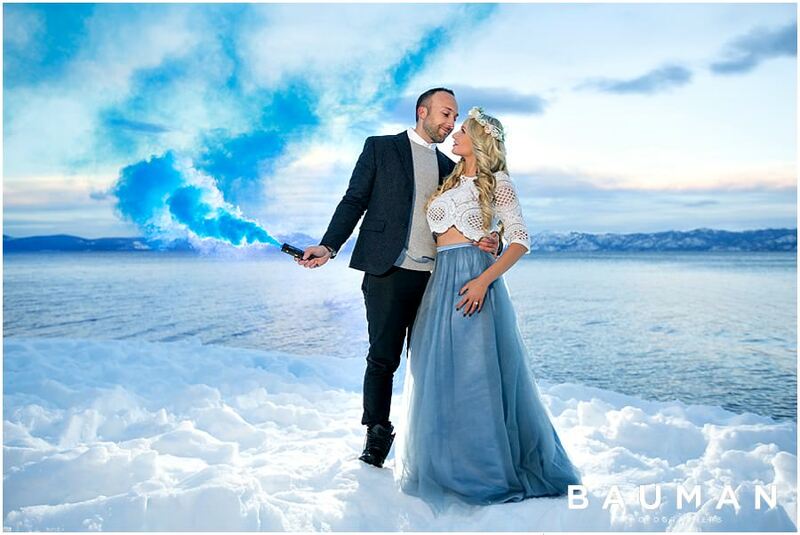 Josie looked like a beautiful snow princess (a la Elsa from Frozen), and these two hotties completely WORKED IT in the cold! 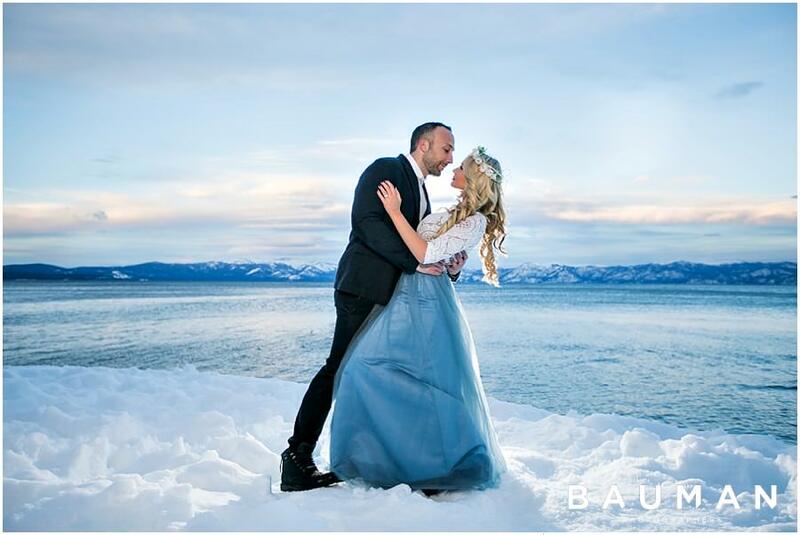 Despite freezing temperatures and subzero winds, they ‘let it go’ and were all smiles and all heart-eyes for each other. 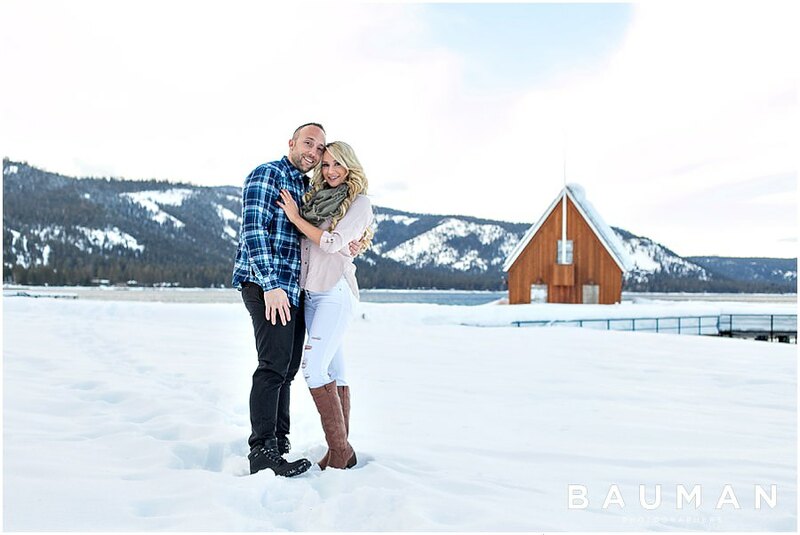 It’s safe to say this engagement session was one for the books! 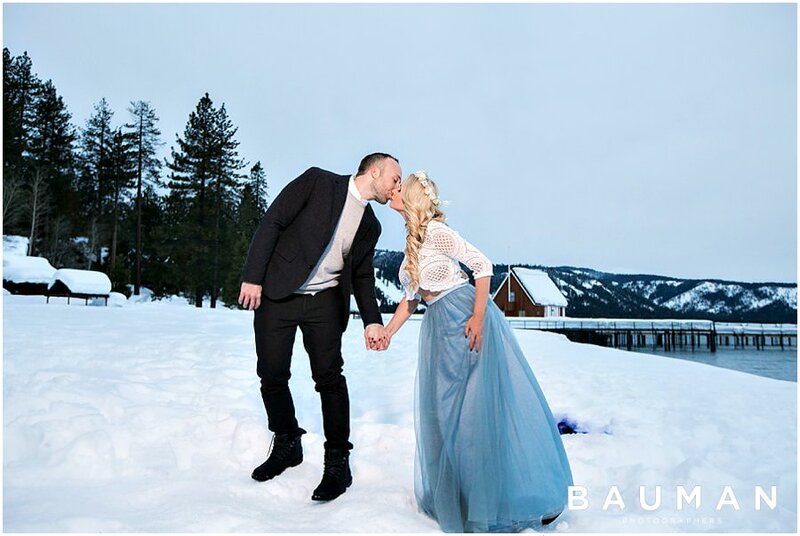 We are OBSESSED!